Four years ago protesters gathered in Kiev’s Maidan Square and called for the ousting of Ukrainian President Viktor Yanukovych. They succeeded when in February 2014 during an epic battle between 20,000 protesters and riot policemen, who tried to defend the parliament, 82 people, both protesters and policemen, were killed by hidden snipers. The identity of these snipers was unknown, with both sides accusing each other of having masterminded the murderous attack. Numerous revelations since then have pointed to a Western led plot, though international mainstream media until now could keep the lid on the mounting evidence. A series of interviews with three Georgian snipers, conducted by Italian journalist Gian Micalessin and aired recently as a breathtaking documentary on the Milan-based Canale 5, also have not found a way to Western media outlets. This is hardly surprising taking into account the bombshell evidence against the real perpetrators and organizers of the 2014 murders in Kiev. The documentary features Alexander Revazishvili, Koba Nergadze, and Zalogi Kvaratskhelia, Georgian military officers who were recruited to carry out a special mission in Kiev by Mamuka Mamulashvili, a close aid of Mikhail Saakashvili’s former defense minister Bacho Akhalaia. The trio claims that on Jan 15, 2014 they landed in Kiev equipped with fake documents. Each one got 1,000 US$, with the promise to be paid another 5000 US$ after the job was done. 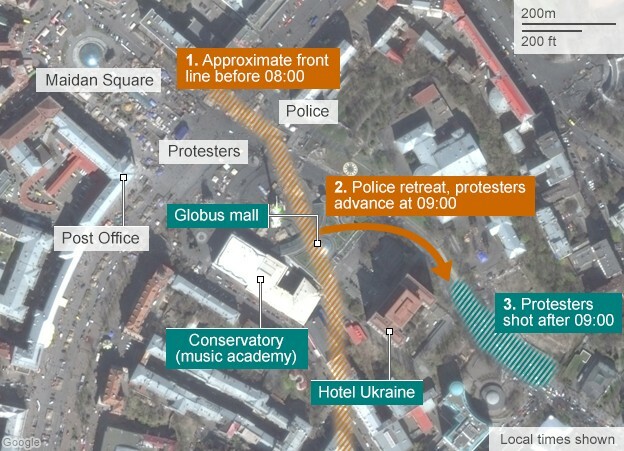 They were ordered to prepare sniper positions inside the Hotel Ukraina and the Music Conservatory, two buildings dominant over the Maidan Square. Along with other snipers (some of them Lithuanians) they were put under the command of US military operative Brian Christopher Boyenger. The coordinating team included Mamuka Mamulashvili and Segrey Pashinsky, who later headed the first post-Maidan interim president administration of Ukraine. The weapons arrived on February 18 and were distributed to the various Georgian and Lithuanian groups. “There were three or four weapons in each bag, there were Makarov guns, AKM guns, rifles, and a lot of cartridges,” tells Koba Nergadze. Four years later, Revazishvili and his two companions report that they have not yet received the promised 5000 US$ and therefore have decided to tell the truth about those who “used and abandoned” them. After the Italian documentary was aired the Macedonian news agency Infomax organized a 52-minutes long night talk with Koba Nergadze and Zalogi Kvaratskhelia (in Macedonian) in which they provided more details about their backgrounds and mission to Kiev. The three snipers are presenting themselves as repenting military officers who were simply “obeying orders” and did not anticipate that their mission was to murder people. A naive attempt from professional death squad operatives to gain sympathy. The Georgian snipers explicitly claim that the operation was initiated by the former president of Georgia Mikhail Saakashvili. Mamulashvili’s chief Bacho Akhalaia was a very close associate and trusted person of Saakashvili, who lost parliamentary elections in October 2012 following a prison abuse scandal (HRW dedicated a special report to the Gldani Prison). On the early days of the Ukrainian crisis the vast Soros-financed network in Georgia started with preparations for a Ukrainian deployment. Bacho Alakhaia, an offspring of the notorious Mengrel criminal clan, depended on Soros money at the Georgia Liberty Institute since his studentship in the early 2000s. At the time when the Georgian sniper trio was hired for their dirty job in Kiev, Bacho Akhalaia was under criminal investigation on charges of abusing power while heading the penitentiary branch of the Ministry of Justice, including illegal detention and torture of inmates. In October 2014 he was found guilty by the Tbilisi City Court and sentenced to 7,5 years. In November 2013 Mikhail Saakashvili, facing multiple criminal charges in Georgia, left the country for the USA and officially settled at Tufts University. He and his stooges, just being defeated and humiliated in their homeland, would not have dared to initiate a risky and adventurous project in another European country without encouragement or maybe even coercion by their masters. The Maidan operation was giving them another chance to make up for the failing of their mission in Georgia. Four years later the situation has dramatically changed. A showcase democratic alliance of Poroshenko and Saakashvili has broken down, after Saakashvili overplayed his hand and made too many enemies with bold moves against corruption. Since September 2017 Ukrainian authorities are considering the extradition of Saakashvili to the Georgian authorities. On November 1 Megis Kardava, former chief of the military police at the Georgian defense ministry and a close aide of Bacho Alakhaia and Mikhail Saakashvili, was detained with false passport on the Ukrainian border. The Ukrainian security service has already announced that he will be extradited to Tbilisi within 40 days. Several other Georgians from Saakashvili’s personal protection team were arrested and expelled to their homeland in October. All these developments could have pushed the Georgian sniper trio to preventively appear on Italian TV as voluntary whistle-blowers exposing the truth about the Euromaidan coup before being eventually captured and punished as scape-goats. Andriy Parybiy (currently Chairman of the Verkhovna Rada), Segrey Pashinsky (member of parliament representing the pro-government People’s Front), and Vladimir Parasyuk (another influential parliament member). Their claims are confirmed by other evidence. The most comprehensive investigation and collection of facts so far was carried out by Professor Ivan Katchanovsky from the University of Ottawa (he also commented on the Italian documentary). Whatever we feel towards the repenting snipers, their public confessions do not exonerate them from responsibility for deliberately killing people. They were not soldiers in the battlefield during a declared war. They had no commanders in a military hierarchical order. They were hired for money to do a dirty job and they were aware that what they were expected to do was a dirty job. Their blathering in attempt to prove the opposite is ridiculous. This trio, Alexander Revazishvili, Koba Nergadze, and Zalogi Kvaratskhelia, as well as those who hired and ordered them — Mamuka Mamulashvili (currently commander of the Georgian Legion in Donbass), Brian Christopher Boyenger (Ukrainian combatant in Donbass during 2015, 2016) — and other snipers from Georgia, Lithuania, and Ukraine have to face trial for the murders. 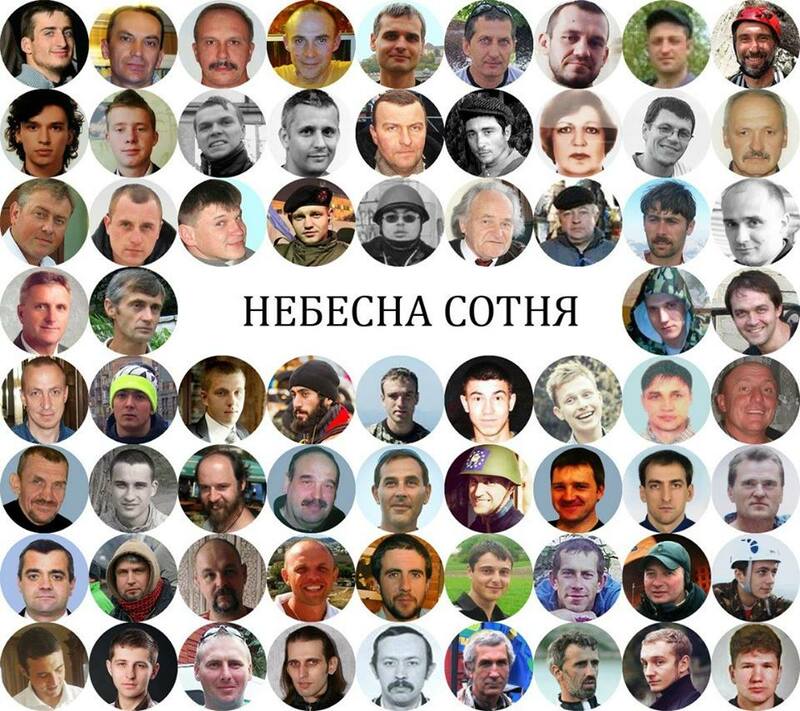 Next should come the turn of the organizers and co-conspirators of that massacre — those named (Andriy Parybiy, Segrey Pashinsky, Vladimir Parasyuk) as well as those still unknown. As a matter of fact, this in the mainstream media still ignored story totally undermines the legitimacy of Poroshenko’s regime. 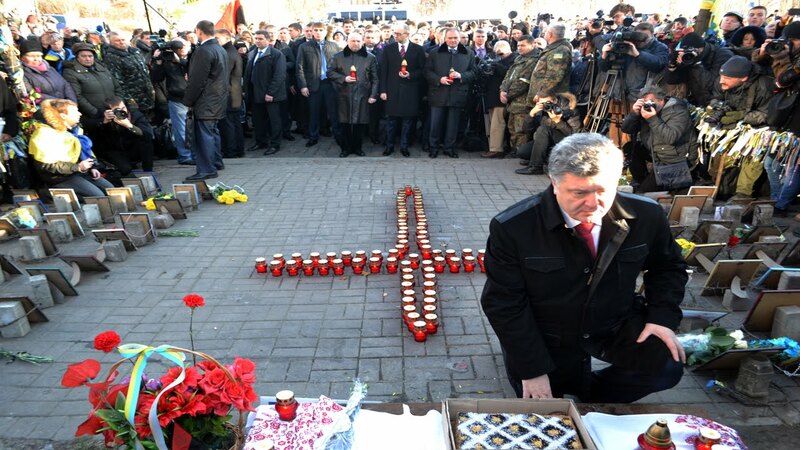 The crocodile tears by the incumbent rulers of that long-suffering nation Ukraine over the graves of the victims reveal their moral depravity, their criminal nature, their appalling monstrosity. Only after they are removed and punished by the full force of the law the Ukrainian nation will have a chance to heal and see the light again.